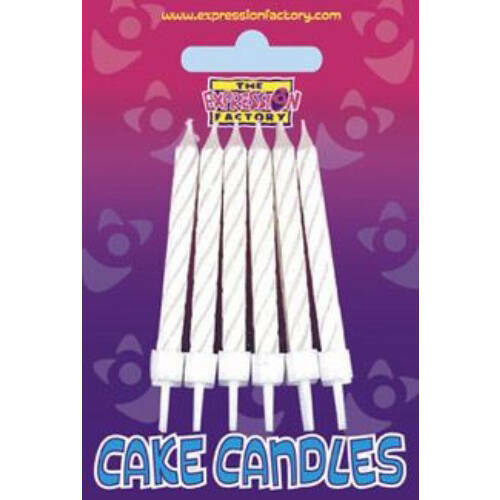 Plain candles are essential party supplies for any occasion. Whether you're throwing a birthday extravaganza for a child or marking a special occasion in an adult's life, candles can help to make the event go with a bang! Set your plain candles into a sponge, fruit or chocolate cake to create a celebratory atmosphere for your special event. Kids love blowing out candles and making a birthday wish! Here at The Party Warehouse, we stock a large range of candles to suit all your party supply needs. Whether you are looking for classic striped candles in pink and blue, magic relighting candles, or fountain candles, you can find what you need in our range. Why not choose candles that match the overall colour scheme of your party? To complete your party planning, take a look at The Party Warehouse's range of fancy dress costumes, which could help to add the finishing touch of fun to your birthday bash. Kids and adults alike will smile with delight when the costumed birthday boy or girl takes a big breath to blow out the candles on the cake. Plain candles are extremely useful party supplies to keep at home, as they are suitable for any kind of party, no matter what the theme. When you have candles close to hand, you'll always be ready to celebrate a special occasion, whether it's a kids' birthday party or another excuse for a get-together. Combine your candles with other essential party supplies, such as decorations, outfits and balloons, to transform your venue into the perfect party paradise. You'll find everything you need at a price you'll love at The Party Warehouse!